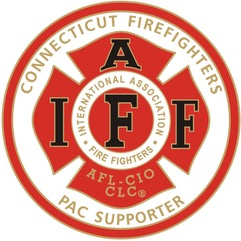 Fire fighters’ pensions are at stake, and the IAFF continues to track those who are spearheading efforts to put public employees in the poor house during their golden years. New York billionaire Dan Loeb ranks 974th on Forbes Magazine list of the world’s richest billionaires with a fortune estimated at $1.5 billion. The founder of Third Point LLC also ranks as one of the worst offenders of selling out public workers. He manages the money for public funds, including Ohio Public Employees' Retirement System, the New Jersey State Investment Council, the Sacramento County Employees' Retirement System and the City of Danbury Retirement System. Loeb solicits the retirement money of public workers and then lobbies for the same workers to lose their benefits. Take this, for example. Loeb is on the board and co-founder of a group called Students First New York. Students First is a 501 © 4 organization headed by Michelle Rhee, the former divisive school chancellor for the DC public school system, who thrives on antagonizing unions. Students First is a leading national advocate for pushing states to abandon defined benefit plans that give public workers a secure retirement for the less-stable defined contribution plans. He’ll have an opportunity to gain more clients this week by speaking before the Council of Institutional Investors, a nonprofit association of pension funds, endowments, employee benefit funds and foundations - representing almost $3 trillion in total assets. Matt Taibbi of Rolling Stone Magazine calls out Loeb for selling out public employees and from profiting from them too. In recent weeks, Loeb has been in the headlines for his fight with two other billionaires over Herbalife stock.